This is a beautiful blanket pattern! Instructions include a link to the pattern used to make the squares and instructions for assembly. 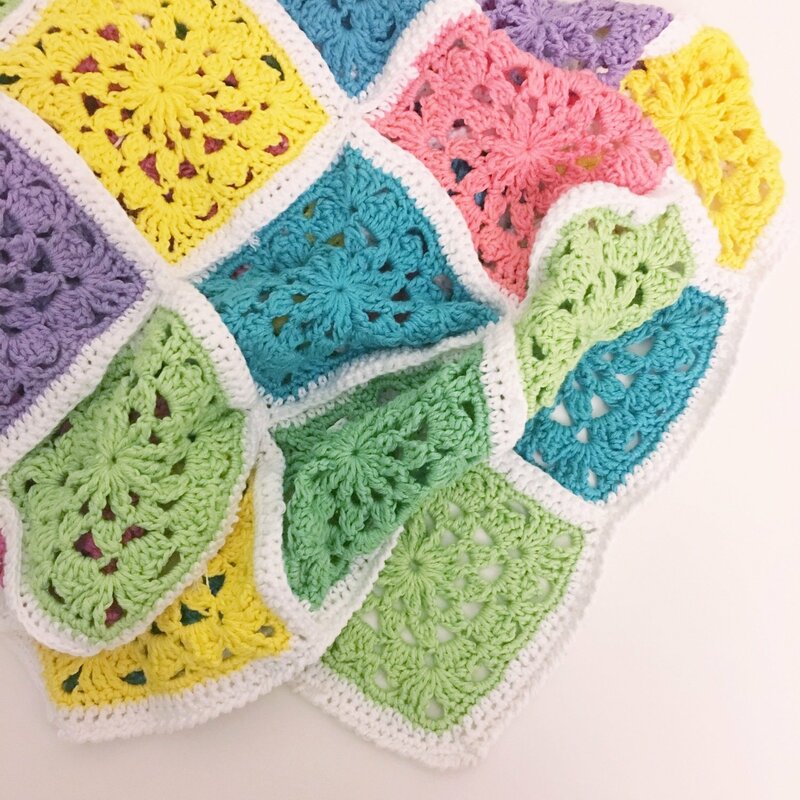 A clear, easy to follow template is provided for square placement which can be used on any other blanket made with squares in 8 different colours in the perfect random placement. Perfect for any yarn needing a 4mm hook.